After a very short search and very little agonizing, today I picked up this immaculate 2004. After plating it I took it for a drive. Firstly, Toronto is not a place for driving a car like this, unless you like driving very slowly in bumper to bumper traffic. After 45 minutes I finally made it out of the area and got on to the highway, and was able to give it a bit of beans. Note that my other fun car is a slightly modded e30 318is, which i always refer back to as my benchmark for what a fun car should be. More than adequate to haul my portly backside to indecent speeds. It's quick enough for my tastes and with the Fabspeed exhaust makes some wonderful sounds. I found myself downshifting so I could hear the exhaust turn money into sound. Could it use a bit more power? I'm sure a little more wouldn't hurt, but around here there really is no place to use it. It handily beats the e30's 139hp. The car feels planted and corners nicely, but the steering feels heavier than my e30 with reduced ratio steering rack. The e30 is also lighter so there is that. But I would prefer my steering twitchier and lighter feeling. The suspension is a bit softer than the e30 which is nice. The e30 is bone jarring in the city but great on twisties and highway. 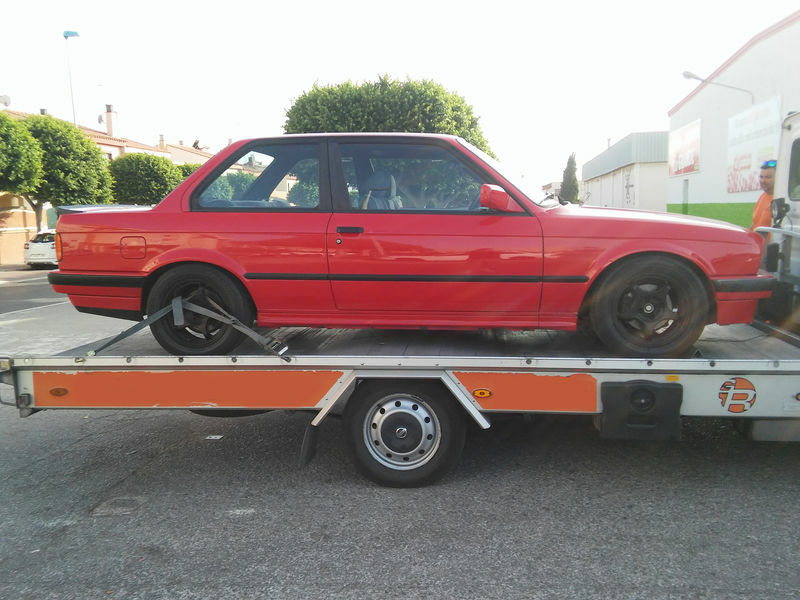 Handling is a split between the e30 and Boxster. Steering I have to give to the e30. Brakes: This car has upgraded S brakes I am told. I haven't had a chance to mash on the them to test them out fully. Until then the e30 with ABS has the edge. 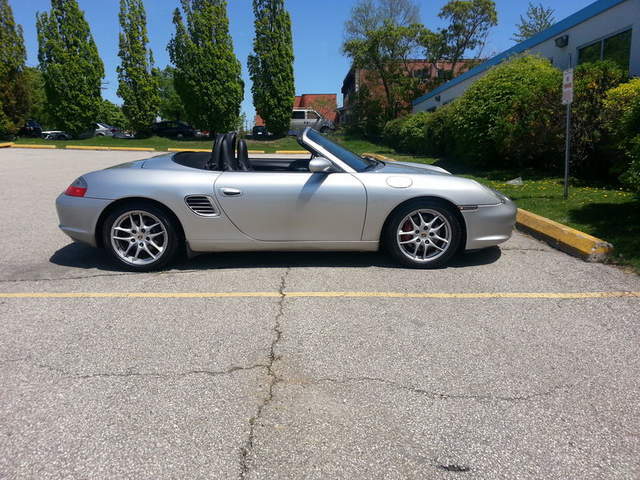 I love my 80's boxy BMW but the Boxster is just sexier looking. It's a design that has aged well. Like that girl that has matured into a perfectly serviceable Cougar, with a bit of meat and some fine curves. It's an old car and while there are certainly newer and more exclusive cars on the road, it still gets looks. This isn't a car to drive with the top up. It should only be driven top up if it's raining, or you drive into a cloud of Locusts. I find the top adds too many distracting noises and reduces visibility. Overall I was pleased with the experience so far but I need more seat time and better driving conditions to firm up my opinion. What little time I had today, I enjoyed immensely and can't wait for tomorrow to get back into the seat. Any one up for Timmies? Last edited by ShortRound; 05-31-2018 at 07:11 PM. Excellent write up! After driving it more you might get the mod bug, might be candidate fir the ROW M030 suspension. Will stiffen the car up and lower it a bit. You can do a couple of easy mods on the Boxster that will enhance the handling, or at least it feels so on my car. I installed a TechnoBrace and put 15mm spacers all around. I can’t tilt the world off its rotational axis with enhanced cornering prowess, but it does feel more planted and grippier afterwards. 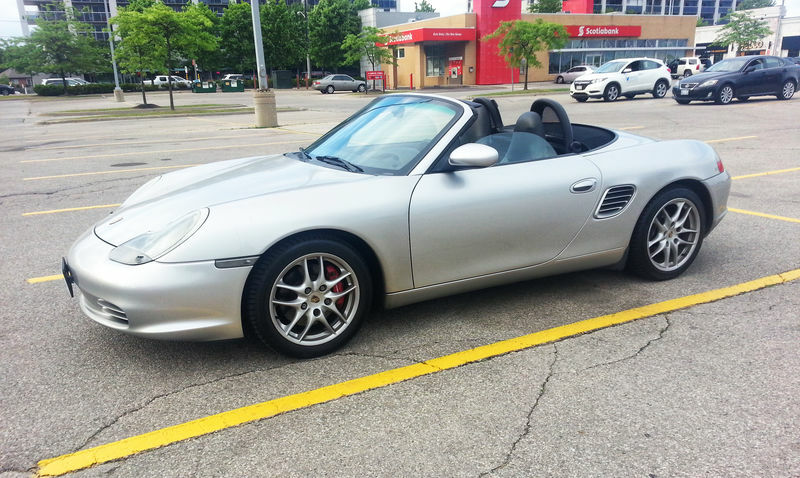 Yes the Boxster is sexier but, both are very much driver's cars and rewarding to drive. I took it out for a longer drive today. Roads were clearer, I was less stressed. Loving it more and more. I think I turned back to look at it half a dozen times before I put it to bed. It has a few mods already, red S front calipers, Mantis Racing Rear Stress Bar, PFC 2-piece front brake rotors, GT3 brake ducts, Fabspeed cat-back exhaust, deep sump with X51 oil pan, SmartTop module, clear side markers with LED, 997 shifter assembly, Optima Redtop battery, das SCHILD hood & trunk lid liners. I've been down the modding hole with the e30 and it is a very steep and slipper slope, lol. Last edited by ShortRound; 06-02-2018 at 07:04 AM. Thanks for bringing up the spacers. I hadn't thought of that but, it does push the wheels out a bit and fills out the wheel wells nicely. Any particular brand of spacer that Boxster people usually use? I will have to take a look at the TechnoBrace. I haven't heard of it, or any other Boxster mods to be honest. I was more concerned about maintenance and reliability first and foremost. I bought my spacers from Wheel Dynamics. Excellent quality/fit. It already has the Mantis Racing Rear Stress Bar, one of million things I forgot to mention! Lol! Are there any more trick bits so I can compile a list.
. Nice clean looking car. Once you start modding this one similar to the e30, you have a different opinion I'm sure. Shortround: Did you check if your strut/shocks are still in working condition or is your alignment still good? If struts is bad or alignment, it can make your steering wheel a little harder. Thank you. It already has some mods by the previous owner, but I don't think the list will grow too much under my care. At some point I will need to retire, and modding money pays for alot of beach-side drinks. Every time I take it out my opinion changes for the better. I think my previous impressions were due more to the fact that driving conditions in Toronto don't lend themselves even beginning to explore what this car is capable of. The PPI came back fine, except 1 or 2 very minor issues. 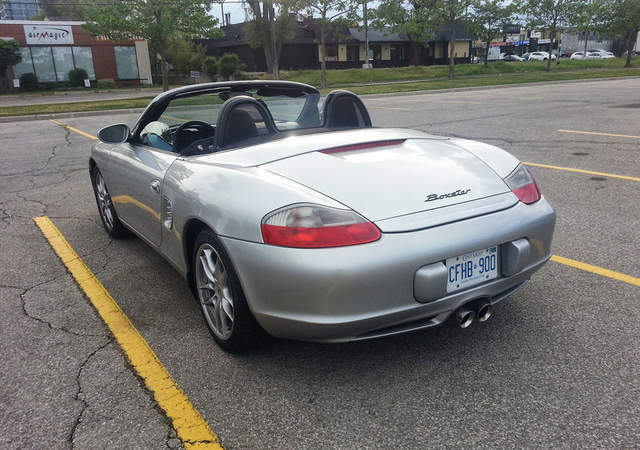 The Boxster has responsive steering, it just doesn't shoot across 2 lanes of traffic if I sneeze. Which is what happens with the modded BMW. I actually saw this car when I was shopping around and indeed it was in immaculate condition. Very nice pick up! Drive it in good health. Cheers. Thank you. Have you had any luck with your search? 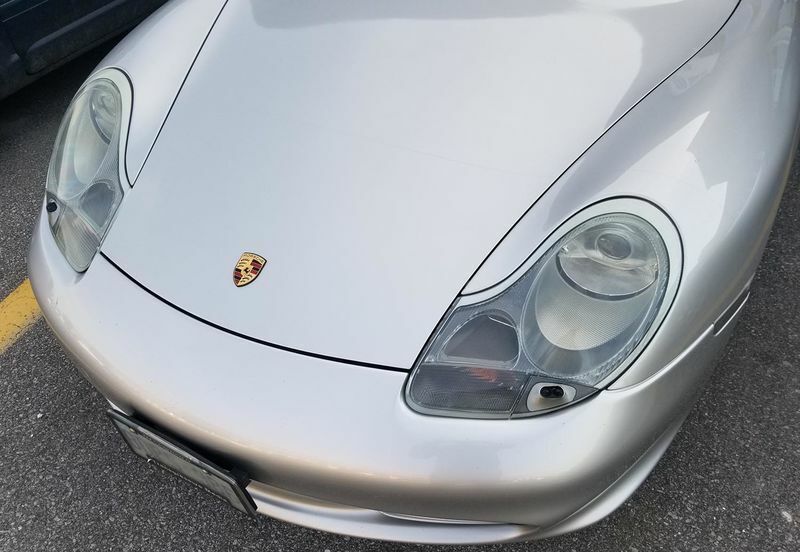 Yes, picked up a 2005 987 on Tuesday! Very happy about it. Perhaps a Toronto get-together at some point in the summer? Congratulations! We will most definitely have to do a meet-up. Would be great to meet other local Boxsters guys. I am free after the 15th of June, so anytime after that. Went for a quick drive and took the camera along. 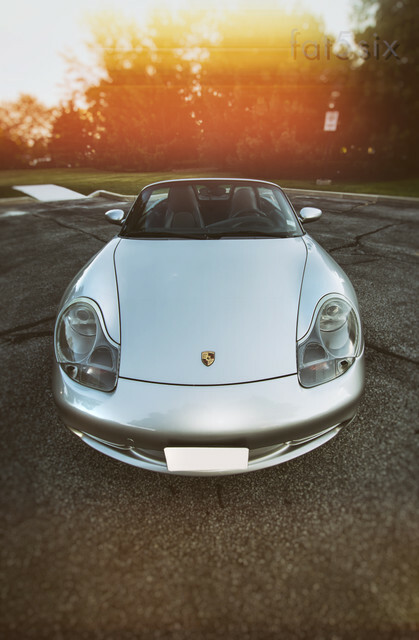 Locally sourced, artisanally curated Silver 2004 Boxster. Did I already mention it's artisanal?